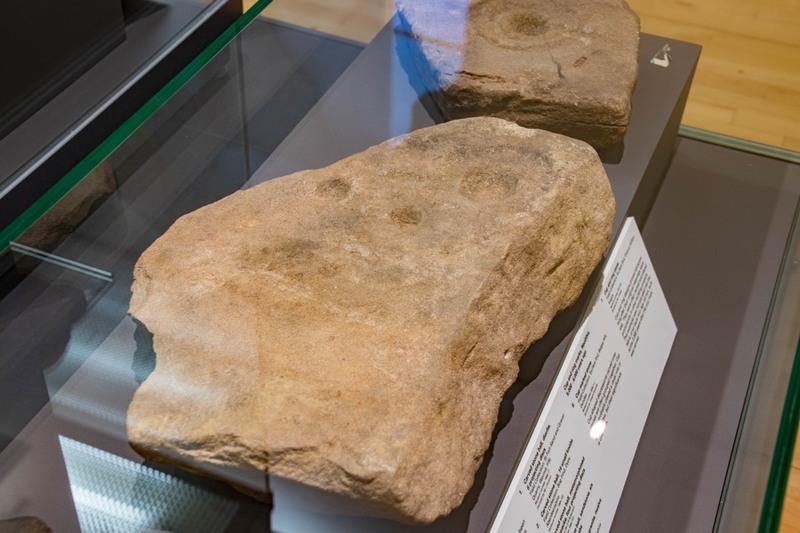 This slab features several cup marks including one which appears to be surrounded by a ring. It was found on Balgay Hill and donated to the McManus Galleries in 2006. I couldn’t find any reference to its discovery so have given it a grid reference which places it at the top of Balgay Hill. Balgay Hill is in the parish of Dundee and the county of Angus. Published on the 18th of March 2018 at 7:03 pm. Updated on the 18th of March 2018 at 7:19 pm.